Welcome to the April 20, 2018 edition of ACM TechNews, providing timely information for IT professionals three times a week. Researchers at Nanyang Technological University in Singapore have programmed a robot to create and carry out a plan to assemble an Ikea chair. The robot was built with custom software, a three-dimensional camera, two arms, grippers, and force detectors. 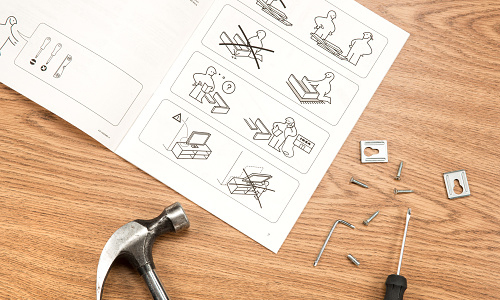 The machine was fed a set of instructions on how the chair components fit together, and over about 20 minutes it performed the assembly in three stages. The robot first looked at the scattered components, photographing the scene and matching each part to one modeled in its manual. It then developed a plan to quickly assemble the chair without its arms colliding with each other or with the various parts, and finally executed that plan. The robot used grippers to pick up wooden pins and force sensors at its "wrists" to identify when the pins, searching in a spiral, slid into their holes. The arms then worked together to press the sides of the chair frame together. University of Maryland researchers have used machine learning to predict the future evolution of chaotic systems, using the reservoir computing algorithm to learn the dynamics of the Kuramoto-Sivashinsky equation. After training itself on data from the past evolution of the equation, the reservoir computer was able to closely predict how the system would continue to evolve out to eight times further ahead than previous techniques permitted. The algorithm has no knowledge about the equation itself and only views data recorded about the evolving solution to the equation. Holger Kantz with the Max Planck Institute for the Physics of Complex Systems in Germany said this development "suggests that one day we might be able perhaps to predict weather by machine learning algorithms and not by sophisticated models of the atmosphere." 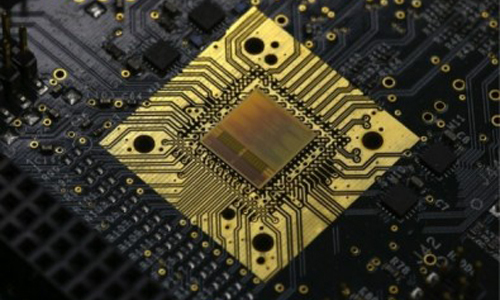 Researchers at the University of Sao Paulo's Engineering School (Poli-USP) in Brazil have designed a chip to upgrade the detection system in the Large Hadron Collider's (LHC) A Large Ion Collider Experiment (ALICE). A total of 88,000 SAMPA chips will be manufactured for the upgrade, which Poli-USP professor Marcelo Gameiro Munhoz says "will be used to instrument two of ALICE's detectors: the TPC [Time Projection Chamber] and the MCH [Muon Chamber]. The TPC tracks the charged particles produced in the LHC. The MCH specifically measures muons." Munhoz notes a planned LHC upgrade to boost the rate of collisions between lead nuclei by a factor of 100 necessitates SAMPA "because the existing equipment wouldn't be able to handle such a huge increase in the collision rate." He says ALICE currently operates at 500 collisions a second, and in 2021 it should operate at 50,000 collisions a second. Stanford University professor Andrea Goldsmith has received the ACM Athena Lecturer Award for her research in the design, analysis, and fundamental performance limits of wireless systems and networks. Her work helped clear a path for mobile computing technology innovations, including advancements in long-term evolution (LTE) cellular devices and Wi-Fi standards in wireless local area networks. Goldsmith is the holder of 29 patents, as well as the author of the textbook "Wireless Communications" and co-author of "MIMO Wireless Communications and Principles of Cognitive Radio." The ACM award honors female researchers who have made significant contributions to computer science; the recipient gives an invited talk at a major ACM conference of her choice. Massachusetts Institute of Technology (MIT) Computer Science and Artificial Intelligence Laboratory (CSAIL) researchers have developed a system for automatically constructing road maps from aerial images with 45-percent more accuracy than existing methods. 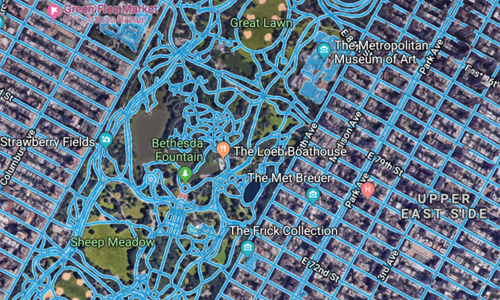 The RoadTracer system “is well-suited to map areas of the world where maps are frequently out of date, which includes both places with lower population and areas where there's frequent construction," says MIT professor Mohammad Alizadeh. RoadTracer begins with a known location on a road network, using a neural network to examine the surroundings and determine which point is most likely to be the next part of the road. It adds that point and repeats the process to plot out the network of the road step by step. Researchers at Ben-Gurion University of the Negev (BGU) in Israel and University of Washington have created a generic method to detect fake accounts on most social networks. The method is based on the assumption that fake accounts form improbable links to other users. The team tested the algorithm on simulated and real-world data sets on 10 different social networks, with strong results on both, according to BGU’s Dima Kagan. The algorithm consists of two main iterations based on machine learning, the first of which constructs a link prediction classifier that estimates the probability of an existing link between two users. The second iteration generates a new set of meta-features based on the features developed by the link prediction classifier. The researchers used these meta-features to build a generic classifier that detects fake profiles. The results show the algorithm can identify people who have the strongest friendship ties on a social network, as well as malicious users, the researchers say. The Swiss Federal Institute of Technology in Lausanne (EPFL) has developed an intuitive and wearable drone control system featuring a soft upper-body exoskeleton. 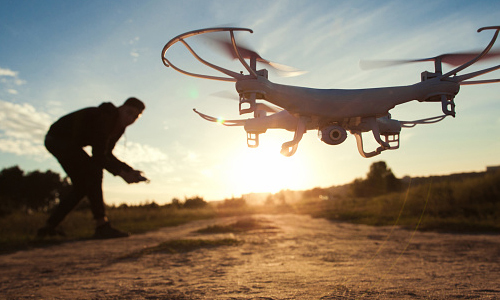 Users can utilize the system, called FlyJacket, to pilot a fixed-wing drone via embodiment, using their body movements to direct the drone while engaged in immersive virtual reality (VR). Sensors in the FlyJacket detect body motion, and translate bending forwards and backwards into drone pitch, and bending sideways into drone roll. The EPFL researchers determined users can fly drones more consistently with the exosuit than they can with a traditional controller; they also felt less VR-induced motion sickness. According to Statistics Canada, women made up about 30 percent of Canadian students enrolled in computer science and math programs in the early 1990s, but that number declined to about 25 percent in the early 2000s, where it has remained ever since. The University of Waterloo has launched multiple initiatives to counter the stereotypes that women do not belong in science or technology, including mandatory computer science courses for all math students, and one-day workshops on computer science for high school girls. In addition, the University of Waterloo recently received a $400,000 grant that will be used to help develop long-term computer science programming for girls aged 10 to 18, as well as to create a permanent space for Technovation, a global entrepreneurship challenge for girls. Atlee says the grant is part of a larger $2.1-million initiative that seeks to train students to not only program, but to learn computational thinking. 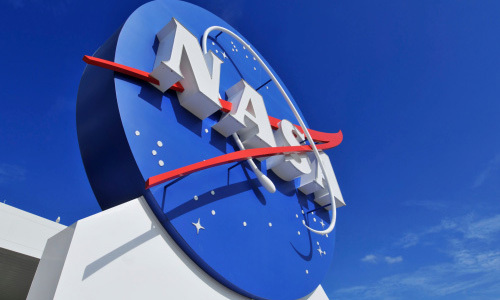 A U.S. National Aeronautics and Space Administration (NASA) research project aims to use the Ethereum blockchain's smart contracts technology to automate spacecraft maneuvering while avoiding space debris. The "Resilient Networking and Computing Paradigm" project will leverage blockchain to make space communications and navigation more efficient and safer. Jin Wei Kocsis, assistant professor of electrical and computer engineering at the University of Akron, received a three-year, $330,000 NASA grant to develop a cognitive architecture for the project that will eliminate the need for spacecraft to rely on information from scientists on Earth. If successful, Ethereum-based smart contracts will help spacecraft "think on their own" to detect and evade floating space debris. The decentralized architecture could help the spacecraft automate data gathering, freeing up scientists on Earth to analyze the data rather than calculating flight paths to anticipate environmental hazards. Researchers at the University of California, Los Angles (UCLA) made a major breakthrough that could block intruders on sensitive communications networks and result in the ability to control Majorana fermions for realizing robust topological quantum computing. The researchers placed a superconductor above a thin film of a topological insulator, allowing the engineers to manipulate the particles into a specific pattern. After sweeping a tiny magnetic field over the setup, the researchers found the Majorana particles' distinct quantized signal in the electrical traffic between the two materials. The next step in the research will be to explore how to use Majorana particles in quantum braiding, which would allow information to be stored and processed at extremely high speeds. Researchers at the University of California, Berkeley have developed a thin-film system that converts waste heat into energy more efficiently that previous methods. The system uses pyroelectric energy conversion, which the study shows is effective for tapping into low-quality waste heat. Unlike other systems that turn heat into energy, pyroelectric energy conversion can be realized with no moving parts as it turns waste heat into electricity. The study indicates this nanoscopic thin-film technology might be particularly well suited to use with high-speed electronics, but could have many applications. The team synthesized thin-film versions of materials 50-100 nanometers thick, then fabricated and tested pyroelectric-device structures based on these films. Researchers at ETH Zurich in Switzerland have developed a compression method that could solve the problem of blocky video calls through the use of artificial intelligence (AI) to compress images by eliminating large sections and recreating what should be there. The team built a deep neural network in which one part of the network generates a version of the image with as little information as possible, while another part judges whether the image is recognizable. Using an image database, the team taught the generator network the texture and features of various objects. This allows the generator network, for example, to create its own version of a tree if a picture contains a tree, discarding the original. The AI can be told to keep certain objects, which could be useful for video calls in which the network keeps a person's face while throwing out the background. In a test comparing their AI to a leading standard algorithm, the team found more than 80 percent of people preferred the AI version.